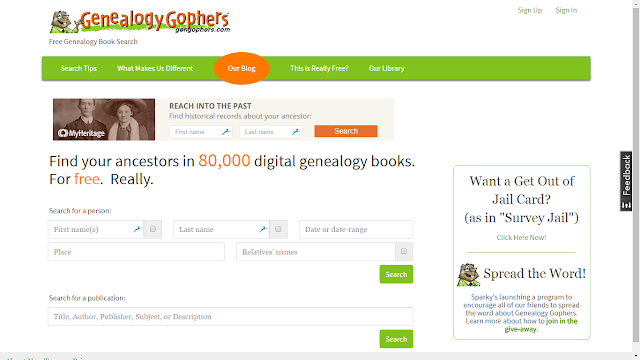 This week's Tuesday's Tip is to check out digitized genealogy and family history books to find books or articles about your ancestors. 1) Google Books (https://books.google.com) - has over 30 million digitized books free to access. 2) Internet Archive (https://archive.org/) - has over 10 million digitized books free to access. 3) HathiTrust Digital Library (https://www.hathitrust.org/) - has over 14 million digitized books free to access. 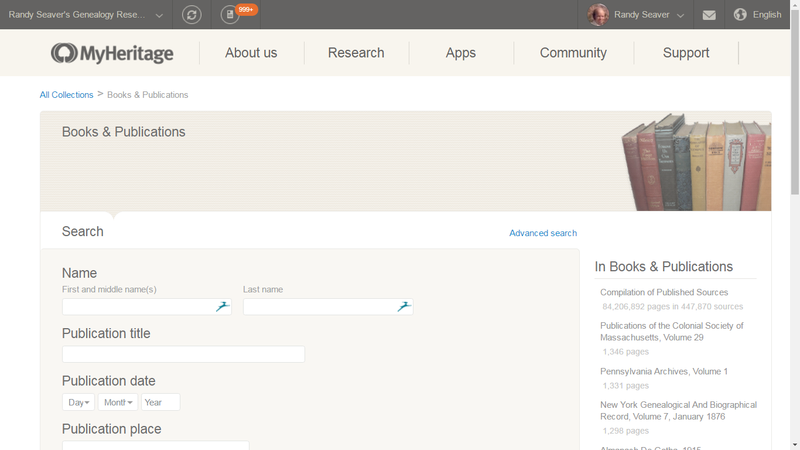 4) MyHeritage Books and Publications (https://www.myheritage.com/research/category-8020/books-publications) - has over 447,000 genealogy-related digitized books free to access. 6) Genealogy Gophers (https://www.gengophers.com/#/) - has over 80,000 genealogy-related digitized books free to access. 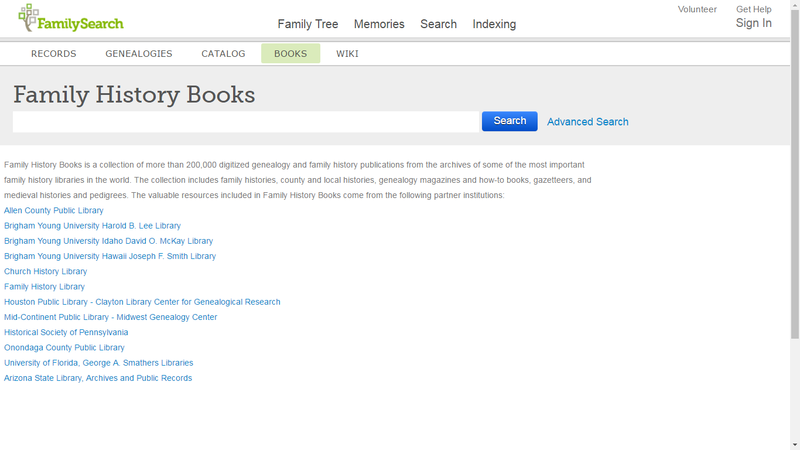 7) Ancestry (http://www.ancestry.com) - has over 23,000 digitized genealogy-related books, not free to access). 8) GenealogyBank (http://www.genealogybank.com) - has over 14,000 digitized genealogy-related books, not free to access). Each site has a different set of search fields and search options (e.g., wild cards, exact matches, included words, excluded words). There are other digitized books websites with significant genealogy and family history hol;dings - which ones should I add to this list? Randy, thanks for this handy list.